Together, these steps form the OSEMN (pronounced awesome) model. Data science is clearly a unifying and an interdisciplinary field of scientific methods, processes, algorithms and systems to extract knowledge or insights from data in various forms, either structured or unstructured. I will explore statistics, data analysis, machine learning and their related methods, apply techniques and theories from a diverse range of disciplines including mathematics, statistics, information science and computer science. 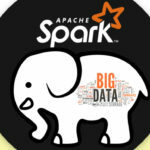 To kick off my investigations, I shall be working with Apache Spark.